This entry was posted in Images, Resistance and tagged #HospitalGlam, #TimesUp, Disability, Gender, Karolyn Gehrig, People's resistance on March 2, 2018 by Rashmi Munikempanna. Time not making pictures is just as important as time making them. One depends on the other. 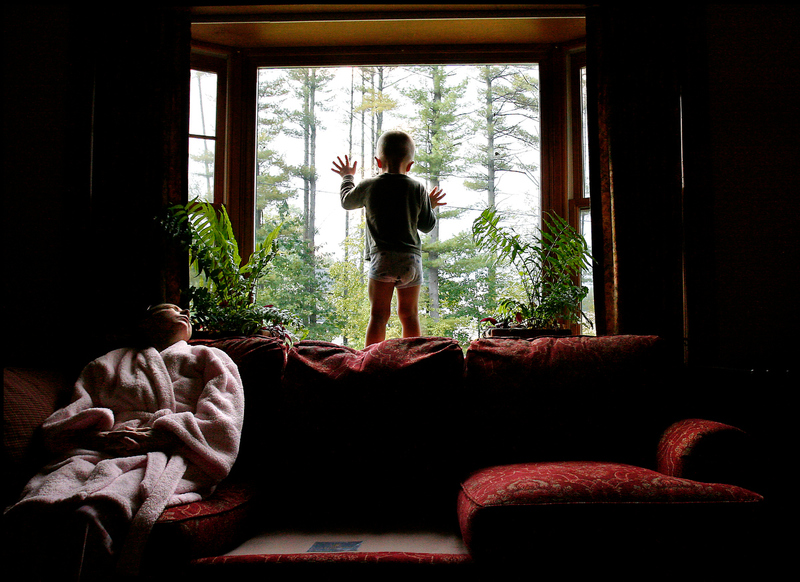 Carolynne watches EJ play in the window while Rich is gone on a business trip. Carolynne says she worries about taking EJ outside alone because she no longer has the energy to keep up with him. Although I could convey a moment and capture peak action and even humor in my pictures, I didn’t know how to wade into situations of emotional intimacy. After discussing the problem with Dan Habib, the paper’s photo editor, I knew I had to try something different. I had heard about approaching an assignment as a fly on the wall, and this appealed to the introvert in me, but I made a conscious decision to break out of that mold. For my next long-form project, I resolved to invest in a close relationship with my subject. Once I had tried it, I decided, I would assess the outcome and move forward. This entry was posted in Photography and tagged Art, People's resistance, Photography, Photojournalism, Preston Gannaway on August 5, 2017 by Rashmi Munikempanna.